Larus cachinnans 3CY 8P36 May 17-23 2007, Łubna landfill, Poland. Picture: Ruud Altenburg. Green 8P36. Bird ringed as pullus in 2005 at Jankowice Babice Malopolskie, S. Poland (50,03 19,47). 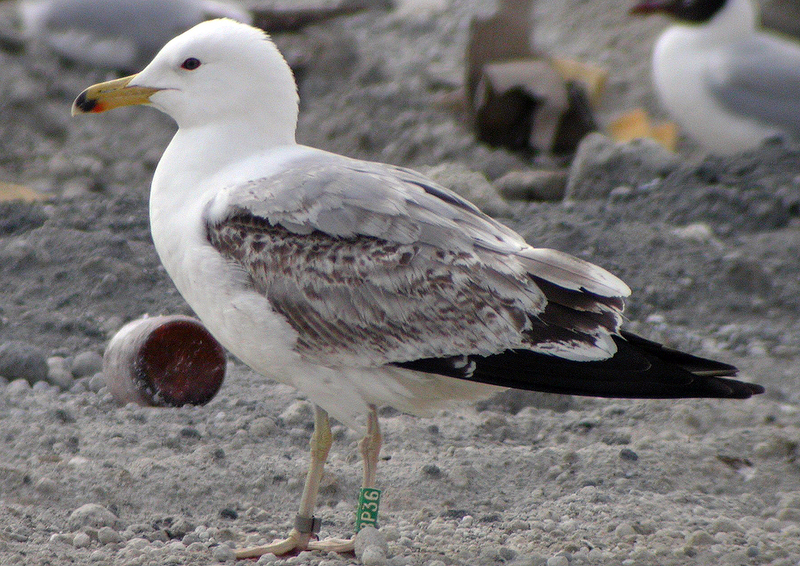 This bird is from the Jankowice colony in SE Poland, so most likely it is a pure 3cy Caspian Gull. However, the bill seems rather short and stubby for this species, it has saturated yellow legs and it is very round-headed. In general a bird which much resembles michahellis.